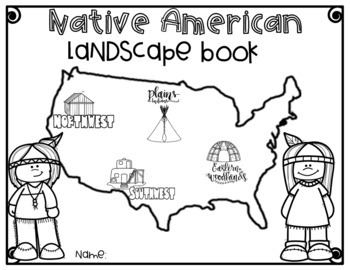 Use this book to help guide your students as you study Native Americans of the Northwest Coast, Southwest, Plains, and Eastern Woodlands. The cover of the book features a map with the 4 regions, and there is a landscape page for each region. Students will color the landscape background, and add on the construction paper houses. The Northwest Indians will add a plank house and totem pole to their page. 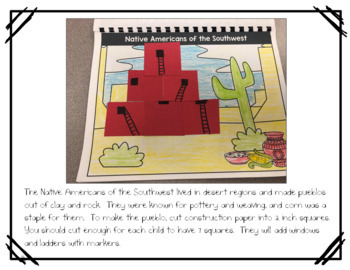 A pueblo will be added to the Southwest Indians page. 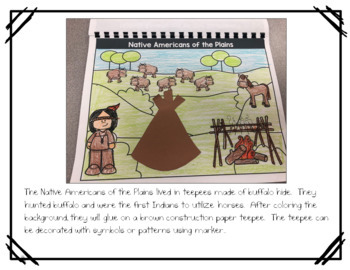 The Plains Indians lived in teepees, and a wigwam will be added for Eastern Woodlands. 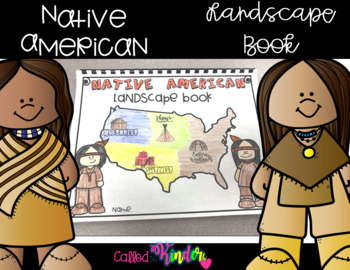 This is a great keepsake for Thanksgiving or your Native American unit..